I am not affiliated with, work for, represent, or endorsed by the Center for Public Safety Excellence (CPSE) nor is Virtual CRR Inc. This article is written from my experience as a CPSE Credentialed Fire Officer and a member of a CPSE Accredited Fire Agency. 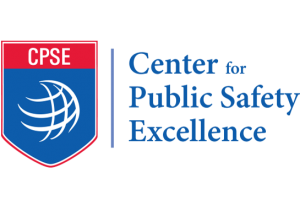 This article is written to inform those Fire Departments interested in Community Risk Reduction of the benefits of seeking Accreditation through CPSE. Click to go to CPSE website. As an organization, CPSE defines accreditation as the following. Based on this definition, their goal is closely tied to Community Risk Reduction. Let’s break this statement down a little further. As I have pointed out in other articles, Community Risk Reduction is much more than Fire Prevention. Those departments who simply change the name on the door from Fire Prevention to Community Risk Reduction are missing the point. Community Risk Reduction looks at the community as a whole. It identifies risks. It also puts programs and processes in place to reduce those risks. Every community has a fire risk, but there are many other risks. Many natural and man-made risks my be unique to a community. Prescription drug overdoses, hurricanes, earthquakes, mudslides, human trafficking, heat, cold, elderly populations, youth head injuries, gun violence, tornado, hurricane, wildfire, etc. I hope you can see that there are many examples. We just need to identify the most likely and devastating to our community. The accreditation process through CPSE encourages departments to start where they are and improve from there. This is one of the best things about their model. A department isn’t necessarily being compared to other departments. The department is to look at where they currently are in various areas. Then, devise a plan to improve. Once a department has obtained a particular goal, the process doesn’t end. That department then makes new goals to continuously improve the quality of their service to their community. This is one of the most misunderstood parts of the accreditation process. Accreditation does’t mean you are perfect. It means a department is continually analyzing where they currently are. They are planning for where they need to be. They are working with other organizations to achieve these goals. We do not know the risks associated within our community unless we perform a “Risk Analysis.” One of the first steps in the CPSE Accreditation process is to perform a risk analysis. This involves many steps. Including looking at call data, community demographics, listening to community partners, surveys, and meeting with local experts. The process is long and arduous because it never stops. This is not a one time project that we can check the box on once it is complete. It will never be complete. If we can identify our top three community risks and we are able to reduce them. Three more top three risks will pop up. That’s why we say Community Risk Reduction is a process. Now that we have “started” our Risk Analysis (It never ends remember), we need to take a look at the capabilities of our fire department to handling and reducing those risks. I want to let you in on a little secret. There is no fire department that can respond to and reduce every risk in a community. Not even the very large and well funded FDNY and LAFD can do this alone. That is why they include others. Yes, we want to be as good as possible. We want to be properly staffed, and well educated. The reality is, we need help from the private sector, volunteer organizations, religious organizations, educational institutions, service groups, for profit, non profit, and any other group or individual willing to work with us. Part of the self assessment is to realize your weaknesses and deficiencies. Then, partner with other organizations who can fill those gaps. The first word in Community Risk Reduction is, “Community.” If we are not involving our community stakeholders, we will fall short of our goal of Community Risk Reduction. The CPSE Accreditation process includes involvement from government officials, business sector, and the general public. They need to be stakeholders in the process so they will “Adopt” the plan. To “Adopt” the plan means to find ways to fund, support, and endorse the process. Does this mean we will suddenly have an increase to our budgets? It may indeed. It may also mean a shift in priorities though as well. A Virtual CRR program can assist you with your CPSE Accreditation process in the following ways. There are criterion associated with accreditation that align with a Virtual CRR program. Criterion 2B – All-Hazard Risk Assessment and Response Strategies – The Virtual CRR program helps with the Risk Assessment by collecting data on your community. It displays this data in an easy to understand way and the data belongs to you. Criterion 5A – Community Risk Reduction Program – The Virtual CRR program helps you prioritize your Community Risk Reduction activities, programs, and processes to better serve your community. Criterion 5B – Public Education Program – The Virtual CRR program teaches your community how they can reduce their personal risk. This community involvement will dramatically support your Community Risk Reduction Efforts. Virtual CRR Inc. encourages all Fire Departments to look into the CPSE Accreditation process to improve your Community Risk Reduction efforts. It is supported by IAFC, IAFF, NFPA, ICMA, just to list a few. Looking at Community Risk Reduction through their “All Hazard,” “Quality Improvement,” “Risk Analysis,” “Self Assessment,” and “Community Adopted” lens will improve your Community Risk Reduction processes and programs.